This zucchini salad is one of the things I made yesterday and gosh it was surprisingly delicious! 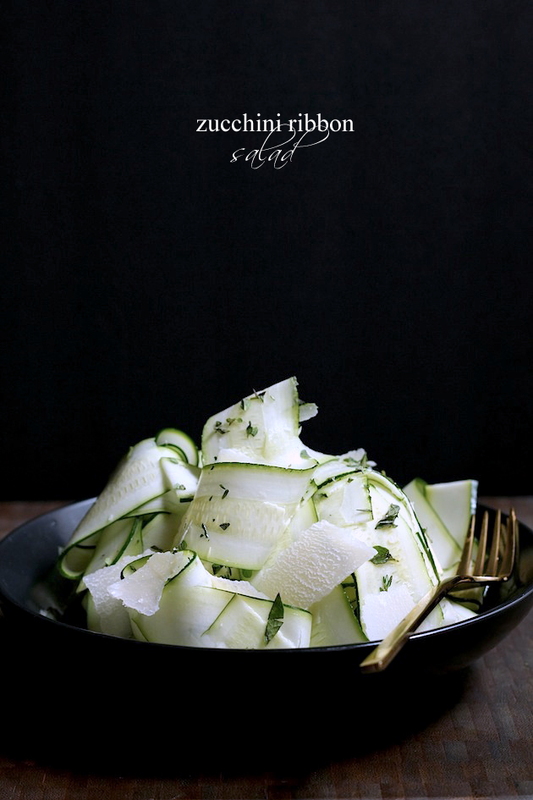 I've always thought zucchini ribbon salads were pretty and an interesting way to get in a good vegetable, but have been a little iffy about eating raw zucchini. But I researched a few recipes to try and liked this one the best. The zucchini was good, crisp, and fresh - BUT it was the herbs, the lemon and the Parmesan cheese that really made this salad so very good. The herbs add a good earthiness to the salad and the dijon mustard in the dressing and the lemon adds this zing that is really needed to wake the salad up. The saltiness of the Parmesan cheese really brings everything together and compliments the other ingredients of the salad incredibly well. This salad is definitely a keeper for me! 1. Wash and trim the ends off of the zucchini. 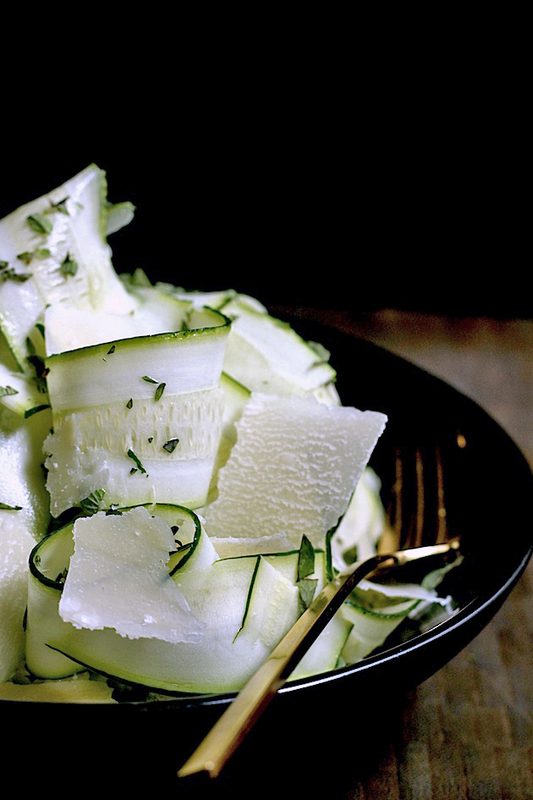 Use a y-shaped vegetable peeler (like this one) to shave the zucchini into ribbons. Add the zucchini to a bowl and toss it with the fresh thyme, oregano, and lemon juice. 2. Add the olive oil and dijon mustard to a small bowl and whisk them together. Pour the dressing over the zucchini and toss. 3. Add shaved Parmesan to the top. I like LOTS of it, but you can add however much you like. Season with salt and pepper as it is served - not any sooner. Salt draws the liquid out of the zucchini, so the salad will be get watered down if you add it too soon. Looks so good! I make a similar version but with no mustard, beautiful shots! Oh Wow! This looks soooo yummy! And should fit in well with my light carb diet right now! Yum! Absolutely delicious! I can't wait to try for Spring! !